WILL SUPERSTARS GET ACCEPTED AS CREDIBLE POLITICIANS IN THIS STATE? People of Kerala have maintained a kind of unsaid political untouchability towards film celebrities, especially Actors. Keralites would elect candidates from any field ranging from school teacher to laymen, while the talent to entertain was seen as an indicator of outright incompetence in the political field. The evergreen hero of Malayalam Cinema, the first Superstar Prem Nazir had tested the waters in politics by joining the Congress Party but never contested elections. Ramu Kariat, the legendary Malayalam director was one among the first Malayalam film celebrities to have contested in an assembly election. He contested in the assembly elections in 1965 as an independent candidate with the Left party supporting him. While Ramu Kariat valiantly emerged victorious, it was a different story in the case of award winning director Lenin Rajendran who had to taste defeat in the 1991 Lok Sabha polls from former President of India, K R Narayanan. Veteran actor Murali tried his luck in 1999 Lok Sabha polls on CPIM ticket and he too, was thwarted in his prospective political career. Actor Devan launched a political party named The Kerala People’s Party and contested in the assembly elections as an independent candidate but eventually, all his efforts were in vain and got defeated in 2001. Ganesh Kumar was the only actor to get elected until Innocent got elected as Member of Parliament with LDF support. Ganesh has been cent percent victorious from Pathanapuram and has handled various portfolios in the ministry. But one cannot overlook the fact that he was backed up by a thorough foundation laid down by his father Balakrishna Pilla who is the founder of Kerala Congress (B), the party whose candidate Ganesh Kumar was till 2016. From Innocent’s victory in 2014 elections one can deduce that Malayalee's mind-set has begun to change. Many tried to demote Innocent by raising the question “Are we going to elect this comedian to make people laugh at the Assembly?”, but it was Innocent who had the last laugh when he emerged victorious. Suresh Gopi was nominated to the Rajya Sabha in 2016, under the recommendation of Prime Minister Narendra Modi. There are many celebrities contesting in the Kerala Assembly Elections 2016, including Ganesh Kumar, Jagadish, Mukesh, Bheeman Raghu. The question that arises is that, how the politicians who in the past considered the celebrities to be too naive and crude to set foot in the political field, are today willing to vest a substantial amount of confidence in them to win elections. Based on the increase in the number of candidates from the film industry, it seems that the political parties are running short of ideas to win the confidence of voters and are trying to woo the voters with glamour. Has the popularity of politicians dropped so badly that they need the support of celebrities to win elections? 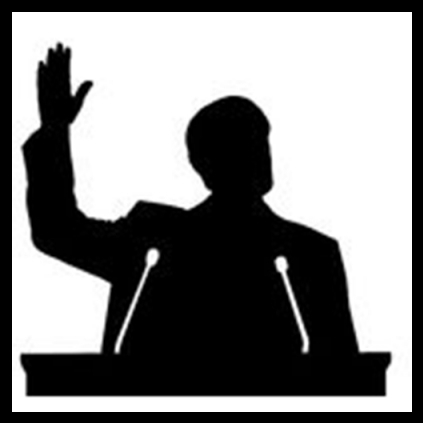 This inclusion of celebrities into politics has stirred up many and has resulted in controversies. Popular director Kamal reproached Suresh Gopi when the latter started campaigning for BJP. Kamal said that Suresh Gopi has become Narendra Modi’s crony in return of the Rajya Sabha seat. Another director Vinayan at an election meeting of Chalakkudy LDF candidate B D Devassy criticised Suresh Gopi for running election campaign by travelling in helicopters and called him innocent but dumb-head. More controversial was Superstar Mohanlal and director Priyadarshan’s attending the campaigning rally of LDF candidate Ganesh Kumar at Pathanapuram. Mohanlal praised Ganesh Kumar’s love for this land and said that he respects and believes in Ganesh. National award winner Salim Kumar was provoked by this and accused Mohanlal to have broken the unwritten code in AMMA (Association of Malayalam Movie Artists) that barred any member from campaigning for any candidate in Pathanapuram. All three candidates there Jagadish (UDF), Ganesh Kumar (LDF) and Bheeman Raghu (BJP) are members of AMMA. Salim Kumar said that he had withheld from campaigning for Jagadish in spite of being a Congress supporter because of this implicit understanding. Salim Kumar later resigned from AMMA as a protest. The President of AMMA Innocent, who also is a Leftist, supported Lok Sabha MP, de-emphasized the controversy saying that no organisation can ban an actor from campaigning for the person of their choice. He also thanked actor Salim Kumar, (who had resigned in protest), for his earlier contributions to AMMA. The UDF candidate Jagadish said that Mohanlal had extended full support to him and does not know what made him change his mind and campaign only for Ganesh Kumar. He said in a phone-in conversation to a channel program that the media itself had provided him the information that Ganesh Kumar had blackmailed Mohanlal into joining his election rally. He urged the media to find the truth behind this blackmail story and said that he was deeply saddened by the whole incident. Film director and screenwriter B Unnikrishnan reacted to Jagdish's statement through his verified Facebook page by writing “Blackmail? Po mone Jagadishe”, referring to an iconic dialogue by Mohanlal in the super hit film Narasimham “Po mone Dinesha”. Only the results will confirm whether Keralites have accepted their superstars as credible politicians. The whole Malayalam film industry is waiting for the Election results like waiting for big budget Star studded entertainer movie. Baahubali To Be The First Tamil Film To Be Projected In 4K Resolution In Kerala. People looking for online information on Kerala, Politicains will find this news story useful.